Copenhagen is Denmark’s capital city and is a popular destination for short breaks. There are direct flights from many UK airports. There are train and metro services to the city centre. The currency is the Danish Kroner which is worth about 12p. English is widely spoken. The city has grown over the last thousand or so years from a small fishing settlement to a leading international city with a regional population of around two million. the city has moved with the times, as well as being an important financial centre there are many high tech companies based there. The Oresund Bridge opened in 2000 links the city by rail and road to Malmo in Sweden. 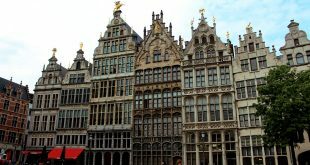 The cities architecture is a key attraction and represent many centuries of it’s development. There are numerous building to see both old and new such as the opera house opened in 2004. Many of the city streets are traffic free, making walking around enjoyable. The Tivoli Gardens close to the city centre is of the oldest amusement parks in the world, as well as rides, there are well tended gardens, architectural features, restaurants and various events. You can ride on a rare wooden roller coaster if you dare! If you want something even older, the world’s oldest amusement park, Dyrehavsbakken (Bakken) outside the city. The Danish royal family live in the Amalienborg Palace, it has a museum and a daily changing of the guards at 12:00. The former Prince’s Palace houses the National Museum which traces Danish history from the stone age until the present. Glyptoteket is a museum of art in stunning surroundings. The Botanical Gardens are famous for their historic glasshouses. Kronborg Castle is great fortress outside the city. Its known worldwide for Shakespeare’s Hamlet. 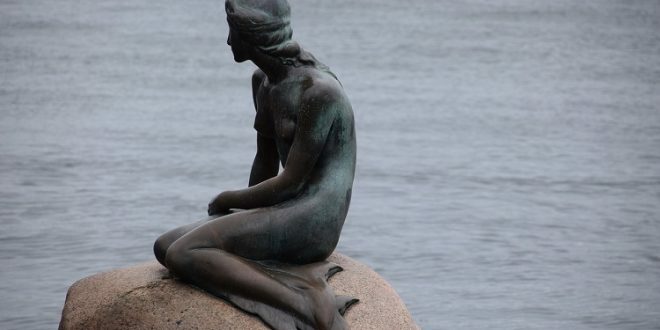 By the harbour, is the city’s symbol, the Little Mermaid statue. It’s based on Hans Christian Anderson’s fairy tale character and was gifted to the city by Carl Jacobsen of Carlsberg fame. Carlsberg brewery, before you ask, opens for visitors. Nyhavn, the former port is now a trendy area to have a drink or enjoy a meal. Like similar cities, there is a broad range of accommodation on offer to suit all budgets. Prices are comparable with the UK. Fifteen restaurants in the city have Michelin stars, Geranium has three. Don’t worry if your budget wont stretch that far, there’s plenty more on offer covering most tastes, diets and styles. Standards of cleanliness, design and style are very high.